Such considerations no longer seem to matter. The celebrated French architect Christian Portzamparc and Gary Handel, of New York, are currently completing a design for a luxury residential tower farther north at 28th Street and Lexington Avenue, overlooking Madison Square. 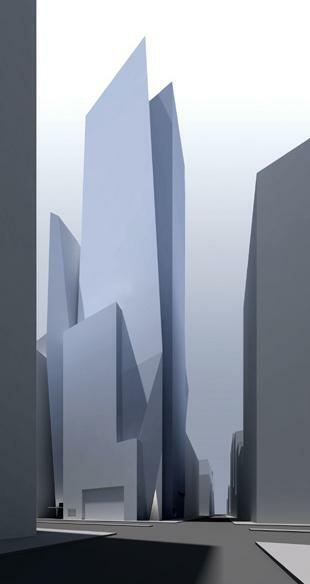 The tower's faceted glass form will have the sharp edges of a cut diamond. On one hand the building is referred to as the “Diamond District Tower” which would place it in the low 40’s on the Westside, not near Madison Square. On the other hand the surrounding buildings reflect the area and the reflection on the glass shows Bear Stearns from a comparable position of Lexington and 28th Street. It's between 47th and 48th Street between Fifth and Sixth. I count 34 stories, not including the penthouse. Nice building. How do you know that it's between 5th and 6th? I think that I've seen a building site in that location. Nice building. How do you know that it's between 5th and 6th? I think that I've seen a building sit in that location. 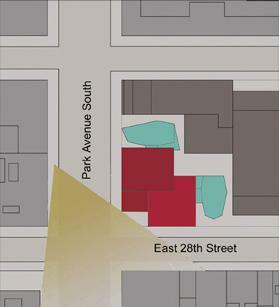 The diamond district is entirely located in one block: 47th street between 5th and 6th Ave's. There are a number of low-rise buildings there; however, there are no empty lots, and I can't see the diamond merchants agreeing to a disruption as large as a demolition and a multi-year construction on their block. I've actually heard that a new building is being constructed on 47th Street. This may be it. I'm curious, however, as to where this rendering is from and what information surrounds it. 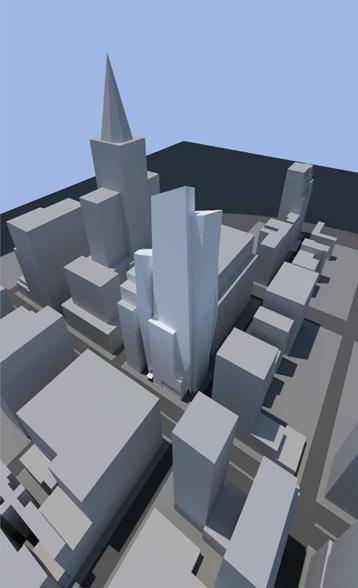 The site has a few renderings, including one of the (modest) skyline presence it would have. The French version has a brief description. Nice find! I love this tower! But why aren't they started building it? If they don't act now when the residential real estate is red Hot, then they never will. It's 28th Ave & Park Avenue South (SW Corner). It's posted all over WNY. This isn't new news, just a resurfacing story. Last edited by krulltime; January 26th, 2007 at 01:49 AM.